This weekend is our 12th Annual YOHO Artists Open Studio. There will be over 60 artists and artisans opening their doors for the public to view their new works and practices. There is no experience like visiting with an artist in their studio. Saturday & Sunday, May 2 & 3, 2015, from 11am to 5pm... At 578 Nepperhan Avenue; Yonkers, NY 10701. 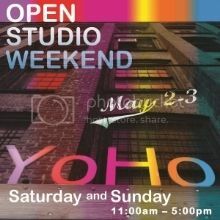 YOHO Open Studio, as part of Yonkers Arts Weekend, is one of the largest of its kind in the greater NYC metropolitan region. 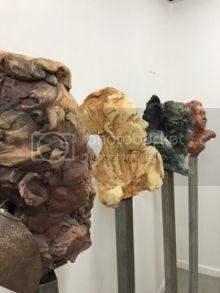 It is most certainly one of the most convenient venues for Open Studio with major road access, reasonable parking, and building elevators in a single grouping of buildings... all at the footstep of New York City. Explore our event page on our website and follow through for details on the greater Yonkers Arts Weekend. Visit our YoHo Artists facebook fan page for more information. 'Like' our page and confirm you are coming to the event in the 'events area' to follow updates for more information as it is made available. Encourage your friends who might take an interest to do the same. RSVP is not required to attend. See you at our Open Studio!